Customer Reviews	Overall rating:	4.8	out of 5 based on 56	reviews. 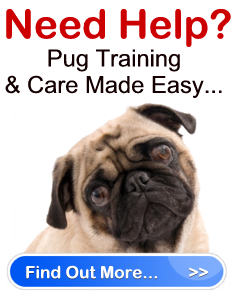 If you would like help with your Pug click here to find out more! - Mel. & Robine, N.Y.
- Marilyn and Gary Warren, Baltimore	Maryland	U.S.A.
just the way I love him! - Mel. & Robine, N.Y.	U.S.A. VERY GOOD AND SOUND ADVICE!